Thanks to everyone for the wonderful comments. I am truly humbled and honored. But a giveaway did help drive the traffic my way and it was fun for me. 1. I forgot to include the date of the drawing. 2. I had no idea how many strips it would take to fill a shoebox. Did I say I have grown MEN as children? 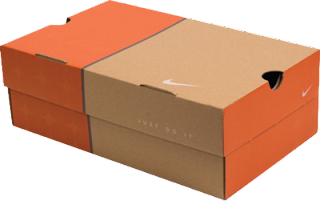 The smallest shoebox I can find is size 10 (and that is my shoebox). 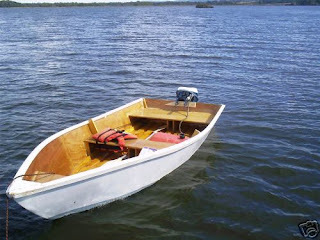 I could have as easily said I was going to ship the winner a boat! I feel like that is what I have laying all over my house when I trip over the shoes. Don’t get me started on socks. I will save that for another post. Last night I was home alone which is rare. I made a wonderful dinner (bowl of frosted flakes with sliced bananas), and plopped down in front of the TV with complete ownership of the remote. If you haven’t left a comment, please do so on the Previous post. Will announce the winner on Friday the 13th. Make this day lucky for you and leave a comment if you want a boat, I mean shoebox full of 1 1/2″ strips. I will be the first comment and then go do the REAL comment for a boat. I know what you mean about boat size shoe boxes — we have several in our house too. Plus an bunch of small rafts. We just went back to school shopping and it seems like there are 100's all over the house! sounds like a peaceful night…I'd love to win, thanks for the chance! Don't you just love those occasional nights alone. Wouldn't want a steady diet of it but every now and then it is fun to "have control of the remote". Thanks for the opportunity to win the strips. It usually takes me awhile to get my bearings when I am by myself. There are always so many possibilities when you don't have to make supper for the family. My son wears a 15. I can send one of those boxes if "you need." I would take a year or two to fill. LOL I have to watch where I walk. It's like tripping over logs. A box full of strips would be so fun to browse through. Talk about fabric therapy! I'd love to win! Can you please email me when you get a chance – I've been having a hard time getting a hold of you! Hope all is well! I would absolutely love to win your strips. I have been looking at the latest BHG quilt magazine as well as old issues of McCall's Quilting and love your quilts using the narrow strips. I would like to make those up!! Someone is going to have a lucky Friday the 13th this year. I have the magazine, nice cover by the way, and am grateful for a chance to win some strips. Strips!!! Yaiii! you get the fabric devil out of me(maniac smile)More fabric! !